Keep your tools and supplies organized for off-site jobs with the Rolling Upright Toolbox by Stalwart. 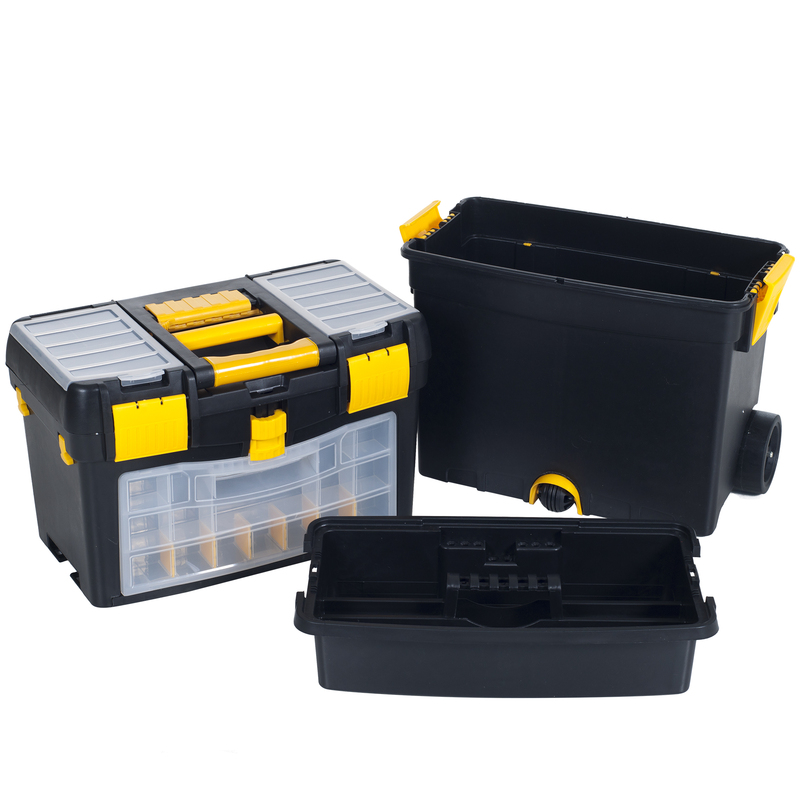 This wheeled cart features three small parts storage boxes with 24 total compartments, two removeable tool trays, removeable top storage and cable hooks for keeping extension cords neat and organized. 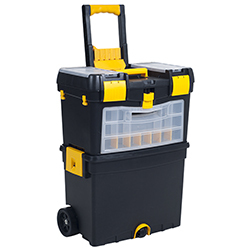 The fold-down handle with comfort grip makes taking this mobile workshop along to different work locations a breeze. The durable polypropylene-and-metal construction means your tools and equipment will be well protected during travel and in rough construction environments. 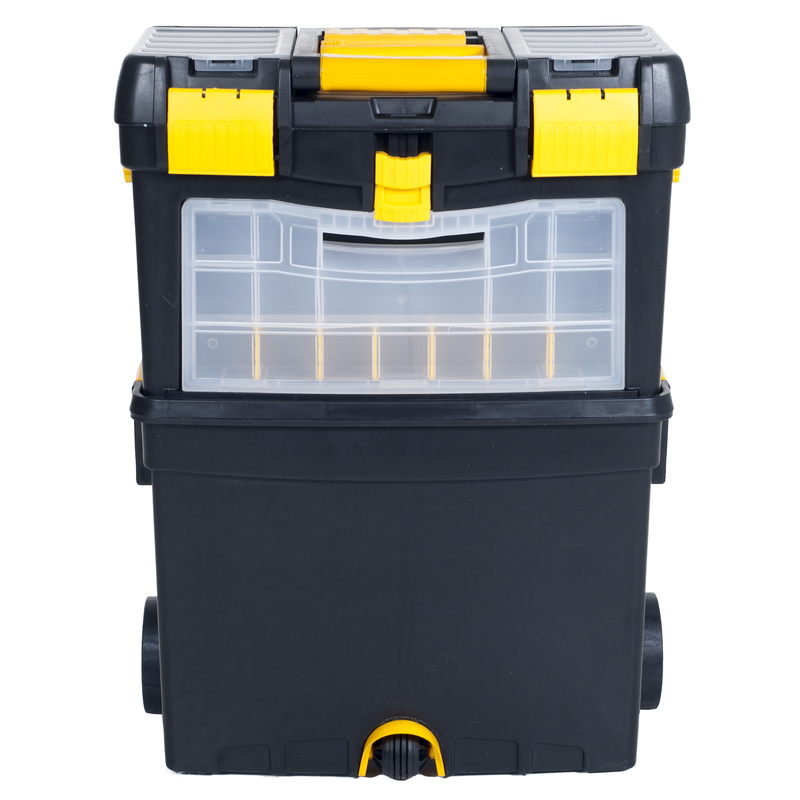 The deep bottom storage compartment is great for bringing along power tools, extra boxes of small parts, or personal protective equipment. WORK ON THE GO- This rigid pack out cart has two 4.2” nylon wheels and a fold-down handle with comfort grip, so you can take everything you need to off-site jobs. 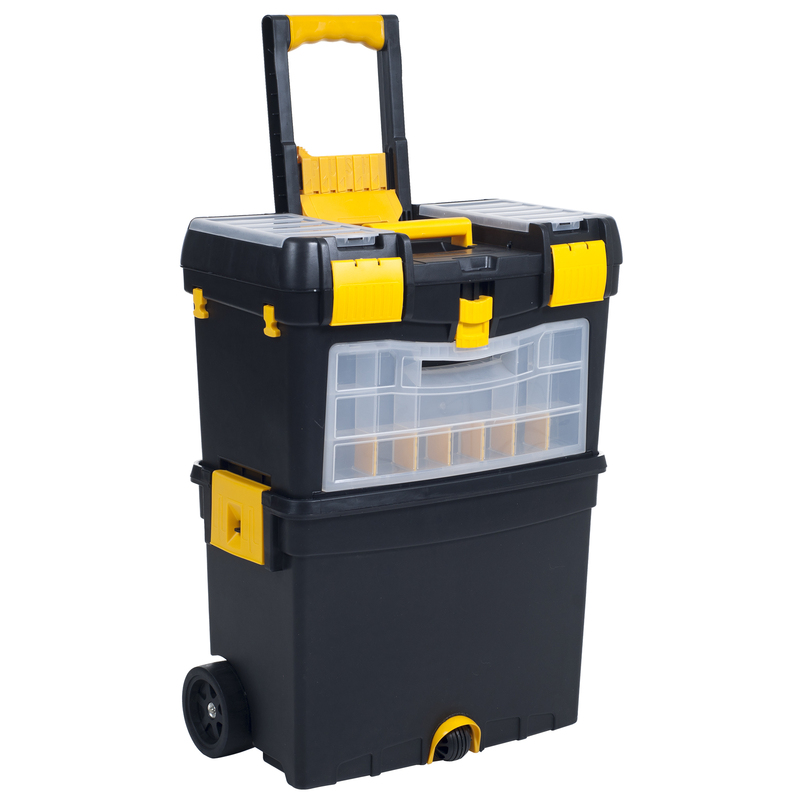 PLENTY OF STORAGE- 24 total small parts compartments, two removable tool trays and a deep bottom compartment ensure that you’ll have room for all your essential tools and supplies while on the go. 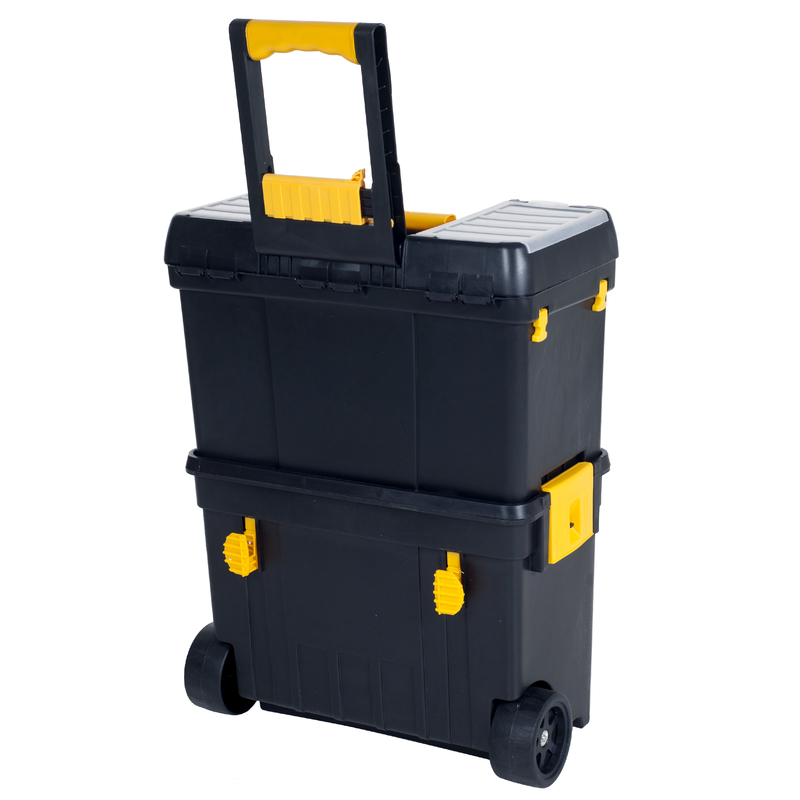 RUGGED DESIGN- This storage trolley is made of durable polypropylene and metal to keep your power and hand tools safe and secure during travel and moving around rough construction sites. CABLE HOOKS- Never worry about lost or tangled extension cords with the attached cable hooks. They’re also great for holding tape rolls and other small supplies.